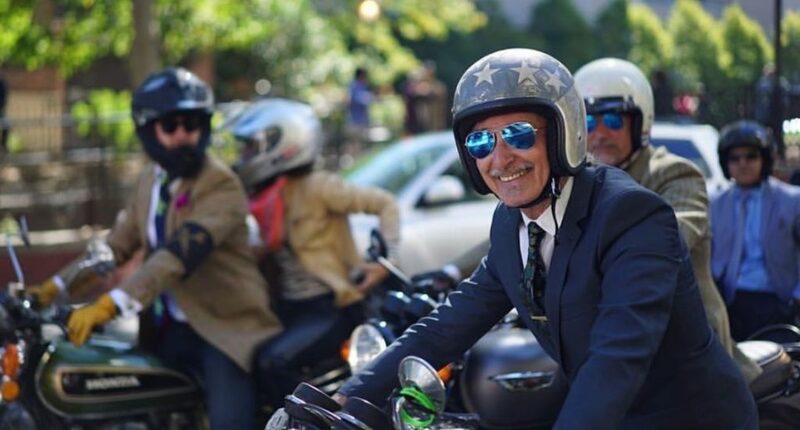 On Sunday, more than 120,000 distinguished gentlemen across the world donned their finest suits, bowties, and tweed, to sit astride their classic and vintage motorcycles to raise money—and awareness—for men’s health. Organized by volunteers in 650 cities, the annual Distinguished Gentleman’s Ride has raised over $12 million dollars since it first aligned itself with a worthy cause in 2013. 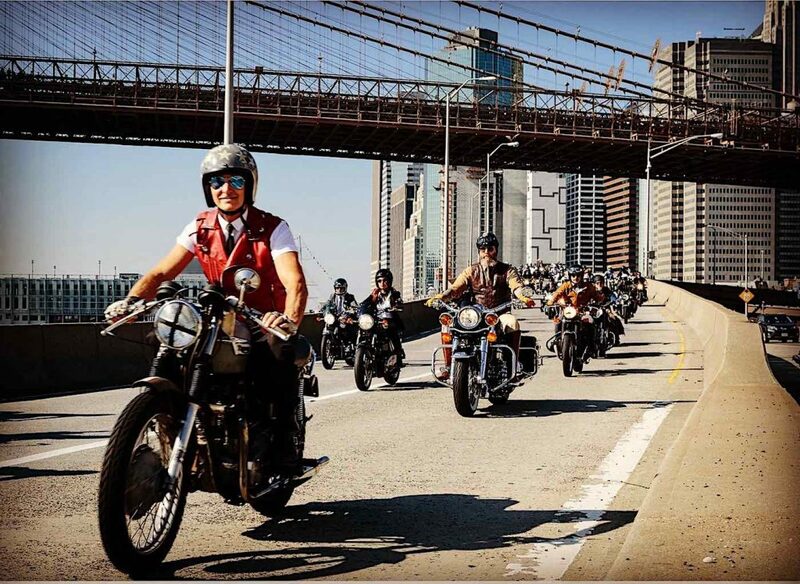 Riders paraded their dapper style yesterday in neighborhoods, on city streets, and along country lanes from Moscow to Mumbai, from Manhattan to Manila. And it was all inspired when founder Mark Hawwa saw a photo of Jon Hamm portraying Don Draper, from TV’s Mad Men, sitting on a classic motorcycle while wearing his finest suit. The Sydney, Australia man conceived of the annual themed ride as a great way to combat the often-negative stereotype of men on motorcycles, whilst connecting niche motorcycle communities together. For the second event, in 2013, he added the charity component, and the ride has ‘taken off’ ever since. Last year, 56,000 owners of custom style motorcycles and scooters raised $4.85 million in 581 cities. They likely have raised over $6 million from gatherings this weekend. A tragic loss of one of the event’s hosts to suicide caused by depression led Mark to include a new focus in 2016 for their annual prostate cancer fundraiser. Now, the Distinguished Gentleman’s Ride will also fund mental health programs. All monies raised are distributed through their charity partner, The Movember Foundation. “Our focus is on gentlemen who have been dealt a tough hand in life,” says the website.